Cubex is a trademark of Torgheh Inc, an Amsterdam based Dutch company with some oriental and Iranian roots. A small company with small flexible team which made by me: Danial Keshani. I am a designer with a passion for clean, minimal designs and I have over 8 years of experience in the art of Web Design and Graphic Design and have no plans to stop my quest for knowledge anytime soon. Also Cubex.nl is listed as an advised WordPress consultant by Automattic Inc, the company behind the WordPress. This listing is available at codepoet.com and Cubex is one of the only three advised WordPress consultants in the Netherlands and the only one in Amsterdam. 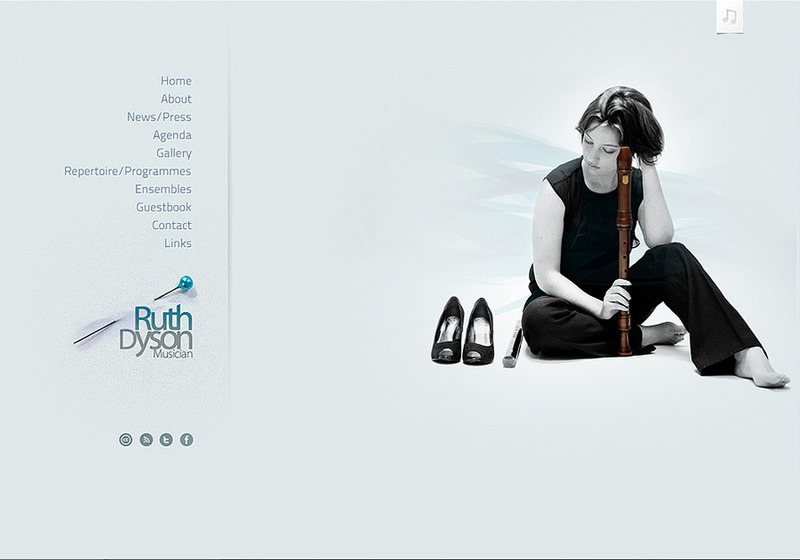 a minimal and clean design for a British musician Ruth Dyson. Valid HTML5 and hand-coded JQuery gave me the power to make a smooth "one page" website. You can check a sample page here: http://cubex.nl/ruth/ and please don't forget to check the navigation!